As most people familiar with Hulabee Entertainment probably know, the company existed from mid-2001 to the end of 2005 when Shelley Day was jailed for fraud. (In case you didn't know about that last bit, you can find the details here.) However, their last widely known game, Piglet's Big Game, was finished in November 2002, and released in March 2003. So that leaves us at a point approximately three years before the company's demise. This topic deals with my findings of what they did afterwards. Or at least the parts where they actually interacted with the public in some capacity. A lot of this is going to be painfully boring to read, so feel free to just skim through anything you don't care about. I just wanted to leave this all this information here for those who really want to know the full story, or at least as much of it as I could uncover. For over a year after Piglet's Big Game, nothing seems to have been made that ever got released to the public. March 2003 appears to have been not only the point where that game was released, but also when Asia Europe Americas Bank of Seattle had their lawyer contact Disney and realized Shelley Day had lied to them. It would hardly be surprising if this prompted Disney to terminate its partnership with the company. Considering all four of their adventure games had been published by them, that could've had disastrous consequences. Combined with Shelley Day now being caught up in a lawsuit that would ultimately last until December 2005, and Ron Gilbert's departure at some point before July 2003 (my source on that is one of the comments he left here), it honestly wouldn't be surprising for the company to have become completely paralyzed. Their next sign of life didn't occur until June 2004, and it merely involved their site being wiped clean, safe for a logo, clearly implying that they no longer had any control over their old games. This is where things took an unexpected turn. After a few months of radio silence, Hulabee suddenly unveiled an online storefront for casual games. Press releases like this one explain that this was a joint effort with two other companies called Shooter Group and Oberon Media. And right off the bat, three new games made by Hulabee themselves were available for purchase: Mah Jong Jr, Flip Out Jr and Touchdown Madness. Strangely however, they disappeared just a few months later. A fourth game, Casper's Spooky Swap, became available in August, but for reasons that I'll explain later, it had clearly been developed alongside the other three and just held back from release for a while. Now the part you've all been waiting for: The games themselves. Though Hulabee's own site never saw much traffic, their games were also available at a few other places, including the very similar storefront of their partner Oberon Media. And the Wayback Machine archived free trial installers for all four of them. I was unable to post their links here without two of them getting altered in a way that breaks them, so head to this Pastebin to find them. Seeing how these are free trials, they have DRM that will prevent them from running after an hour has passed. Thankfully, it has an incredibly obvious loophole: If you directly run the games' actual executables rather than the launchers, they won't take note of how long they've been running. Sadly, this doesn't work forever. I'm not quite sure how it happens, but to my understanding, after a long period of time has passed since their first launch, they will consider themselves expired and refuse to operate without activation. 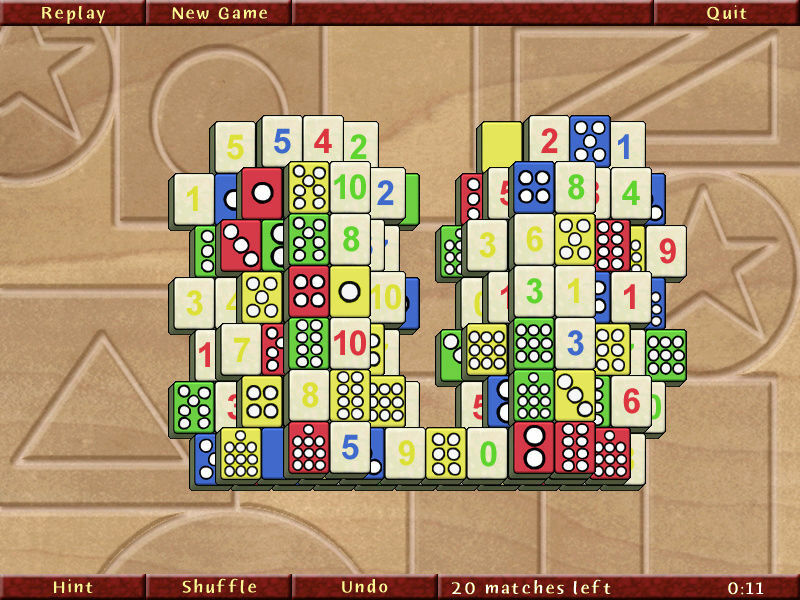 Alternatively, Mah Jong Jr was also included in a physical bundle of games known as the MahJongg Variety Pack 2. Copies of it still aren't too expensive on Ebay and Amazon. The game's build on there is probably DRM-free. I just ordered a copy myself and will post an update here when I have it. So then, are the games any good? Not really, no. You can tell that things weren't looking good for Hulabee at this stage of their history. They're all very barebones and have poor production values even by the standards of lightweight casual games from the mid-2000s. 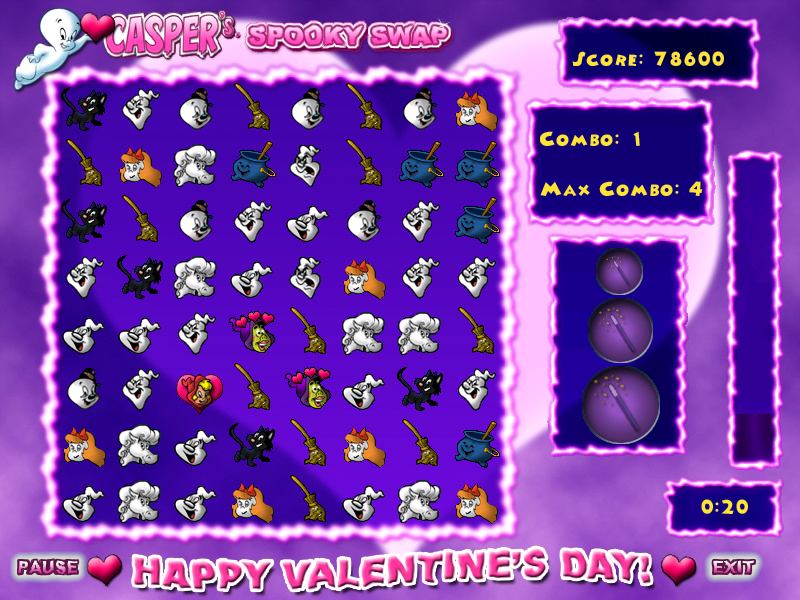 Mah Jong Jr and Casper's Spooky Swap even have two music tracks shamelessly recycled from Moop and Dreadly. I get the impression that the company was desperately trying to stay afloat with virtually no money in its pockets, and so they chose to embrace the casual gaming industry as a last resort. This would honestly strike me as a pretty good business decision in such a situation. The casual market was booming at the time, and games in it required much less of a budget. Plus, despite the mostly family-friendly nature of these games, not a whole lot of them were really made specifically for children. But unfortunately, it seems Hulabee was already in such a poor financial condition at the time that they couldn't even pull that off properly. Perhaps if they'd had more resources available (and if they had somehow managed to remain operational even with Shelley Day in prison), they could've finally found their niche and become if not a worthy successor to Humongous, then at least a decent company in its own right. Instead, these low-budget and low-effort games are only worth the look for historical reasons. I already wrote about this one back when I originally discovered it several years ago, but this is basically a generic Mahjong game. 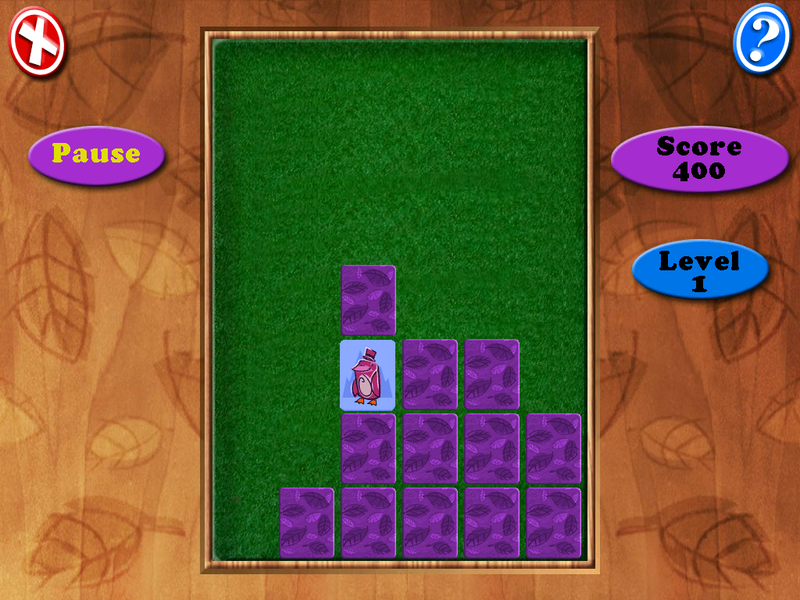 As in, not a simulation of the real thing, but a simplistic matching game inspired by it. There are lots of those games, and this one does little to set itself apart. Just about the only thing noteworthy about it is its large selection of different tile sets, some of which are clearly geared towards children. That's all the game does to justify the "Jr" in its title. Despite this, it honestly doesn't strike me as a terribly kid-friendly game. Even when playing with the right strategies, you can easily end up losing through little to no fault of your own. Unless you abuse the shuffle feature, which for some reason can be used indefinitely without penalties, effectively breaking the game. This game has two modes. Concentration mode is a total waste of time. It's literally just Concentration with a scoring system. Flip Out mode on the other hand is actually a rather innovative take on the game, with time pressure, a constantly changing playing field, and powerups to spice things up. Though it sounds interesting on paper, it didn't really work for me. The game's various gimmicks made it really hard for me to remember anything, so I found myself often just rapidly and randomly clicking everywhere. If your memory can handle the game better than mine, then this game could actually be a decent highscore chaser, though. It's the only one of the bunch that had some genuine creativity put into it, rather than feeling like a lesser version of something that had already been done before. A simple football game in which you only on the offense. I wasn't really able to get into this one due to my lack of familiarity with the sport. 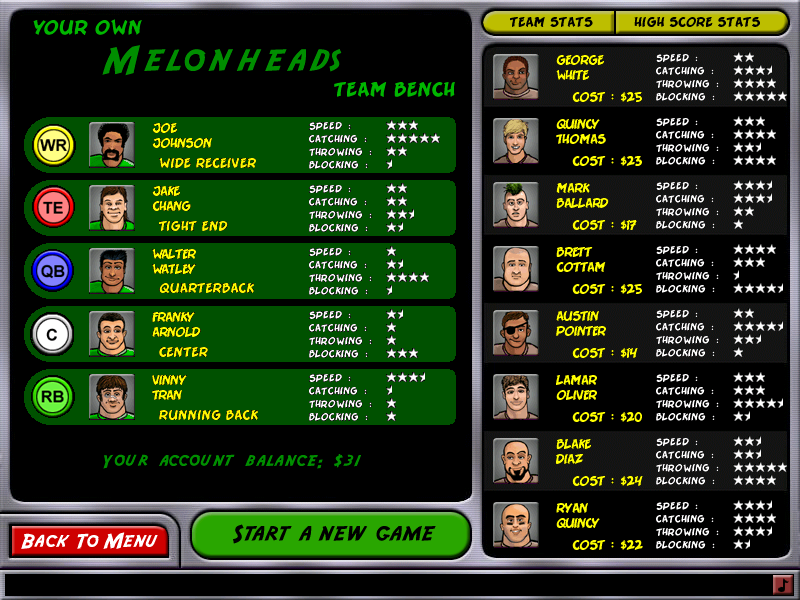 Basically all I know about it comes from some video footage of various Backyard Football games. For the most part, it just seems to be a heavily simplified version of the 2D games in that series, although with a simplistic progression system that has you earn cash that can be used to buy better players for future matches. One thing that's rather strange is that the files for all four of these games have nearly identical timestamps from 29th December, 2004. If all four of these games were finished no later than that, then this still leaves us with nearly one year before Shelley Day's prison sentence. What Hulabee was doing in that time is largely a mystery. They clearly had some games in the works at the time it happened, seeing how she unsuccessfully tried to convince her judge to delay enforcement of her sentence so that Hulabee could finish what they were working on at the time. But it would still strike me as somewhat surprising if those games were all the company had worked on in 2005. On a final note, it's interesting that Hulabee's storefront was not yet shut down by the end of 2005. In fact, it remained operational until well into 2007 before it began redirecting people to Oberon's site. Even Casper's Spooky Swap remained available until the end. Updates to the site stopped happening long before that, though. Perhaps Oberon or even Shooter Group had acquired the remnants of the company and kept its site on life support as long as it still received a bit of traffic? Whew, this post ended up being way longer than I'd planned. And probably over five years too late to have any realistic chance of reaching someone who is an obsessive enough HE nerd to actually care about most of what I just wrote. Oh well, at least I now have all this information gathered in one place. A very nice write-up. It reached me, anyway! I think I'd like to see how hard it is to crack these games' DRM. Very interesting read! It's sad how such a very good potential adventure game company have turned into a generic "pay, download and play" puzzle company of the mid 2000s. Hopefully we can find a DRM-free version of those games someday, or like Onfy said, cracking them. Looking forward to any new developments. By the way, the links for Touchdown and Flip Out don't seem to work right, though I've no idea why. Edit: Well, my initial, and perhaps rather obvious idea, to swap EXEs with a game without DRM, doesn't work. I guess there were different versions of Sauce. Edit 2: Well, I tried figuring out how the launcher tracks how much time is left and whether or not it's registered. I'm totally stumped. Just hope it won't mess up my computer. Okay, I get what's wrong with those two links. For some reason, this forum butchers them by removing a part of them. I can upload the installers to Mediafire in a few hours. BTW, I actually found something that should deal with the DRM for Flip Out Jr, Touchdown Madness and Casper's Spooky Swap. I just didn't mention it because I didn't know if you'd be okay with me spreading such information here, even if it's just for abandonware. If you are okay with that, I'll spill the beans. Yes, go ahead! I don't think there's anything wrong with breaking the DRM on these. Gotcha. Apparently, the DRM doesn't use online verification, so you can still activate them with valid combinations of email addresses and keys. And I was able to find some for three of the games. Do note that I activated them all while offline just to be safe, so it's possible the DRM only refrains from communicating with a verification server when it can't connect to the Internet. Feel free to test if it still works when online. This leaves Mah Jong Jr as the last problematic game, but the MahJongg Variety Pack 2 still offers an alternative way to get it. I bought my own copy for less than £10 from this seller, but I imagine shipping is going to be more expensive for those who don't live in or near the UK. Well, serial keys aren't what I expected, I'd have thought there'd be a way to make it think it's registered without one, or remove the check entirely. Guess I'll allow it, because I doubt there's anything left of them, either to go after us or to even sell the games in the first place. Okay, the MahJongg Variety Pack 2 arrived. Its copy of Mah Jong Jr seems to lack any DRM. It works without activation and doesn't check for the CD's presence. The CD itself also doesn't seem to be copy-protected. Also, your idea about replacing the executables was actually not that bad. It seems all four of Hulabee's dark age titles use the same version of Sauce, so the DRM-free executable found in the MahJongg Variety Pack 2 works with all of them. It doesn't work with any prior games, though.